Keira Lennox - show some love with these Valentine’s Day DIYs! Who can resist chocolate covered strawberries? Add white chocolate football laces to score major points with your sports fanatic. For a naturally sweet Valentine, print cute stickers to add to different kinds of fresh fruit and arrange them together in a big basket. If you’ve never made pots de creme, Valentine’s Day is a great time to start. It’s the easiest dessert to make, and so so good. Heart sprinkles and a dollop of fresh whipped cream are the cherry on top. There’s plenty more inspiration where that came from! Peep my Be My Valentine board on Pinterest for other ideas. 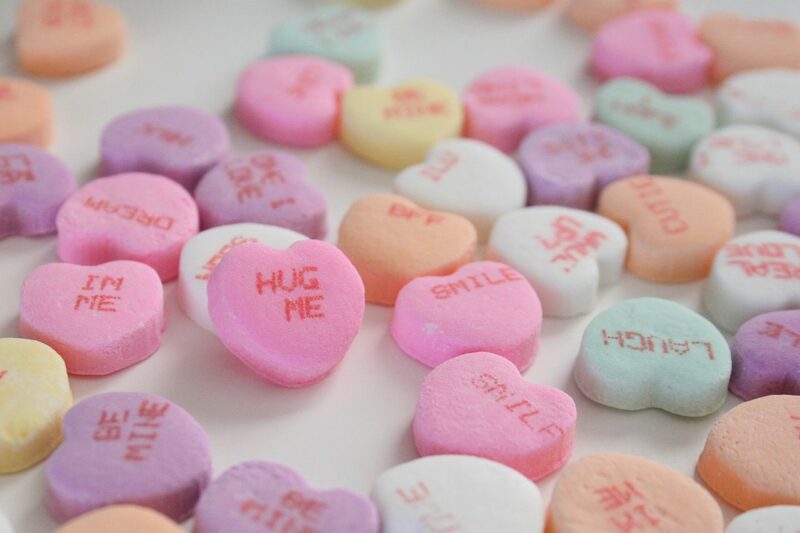 Conversation hearts image via Dream a Little Bigger. I love, love, love this blog post. Especially the strawberries with football decor! Super cute! appearance in the upper quadrant of the breast. Once i read individuals journals now, they will lift my spirits. The src gene product is a kind of protein called the tyrosine kinase, and is associated with cell legislation. Wow.. sweet ideas, next year I will try these. I love the mug! I need one in my life! I also need a valentine. but the mug comes first! Love this post! It could be ’cause I love St. Valentine’s day, but also because of all the ideas and the context of the day. It’s so cute! I adore your blog! Did it take you a long time to get it to such an amazing level? Omg these are the cutest v-day things I’ve ever seen! P.S. Mommy – note the strawberries and apples – hint-hint. Great ideas. I have valentines day, his birthday the next week, our three year anniversary the week after. Ahhh!